Fostered with a team of highly experienced professionals, we have been able to provide Plaster Of Paris Bandages. We are manufacturing quality plaster of paris pop powder in tamiladu. .
We are manufacturers and supplier of Plaster of paris which is naturally derived from calcium carbonate. It is highly in demand in different industries such as plastic, paint, rubber and many more. 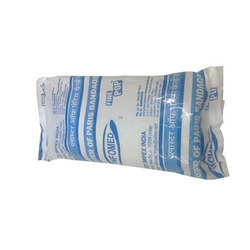 Our range of products include Thermo Herb Face Heat Pack Plaster Of Paris. we offer micron zed calcium carbonate (caco3) powder. It is available in various grades which can be used in various industries like paints, rubber & plastic industry. Our products will be suited according to our customer's in respect of size, properties and packaging. Madhav minechem industries and minerals will always strive to give the best quality at the most competitive price. white, dried calcium sulphate powder odourless and tasteless. available in medical, dental and commercial grades. Other surgical uses that require fast setting time. Packaging Size: Available in all Sizes. Uttam Gypsum Plaster of Paris are suitable for application on most internal backgrounds. It consists of gypsum hemihydrates formulated with special additives to enhance workin & setting characteristics. 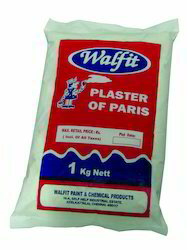 It contains light weight aggregates to improve plasters workability, coverage, appliction & post usage behavious. It dries to provide a white, smooth matt finish surface.